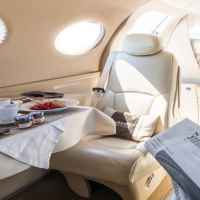 Deep insight into private jet's world. The 4 jet categories and their usage. 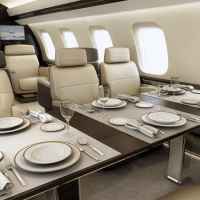 If you think on buying your new private jet, or just out of curiosity, you had better to know what each jet is designed for, to get an excellent performance of a specific level. First of all, it’s important to distinguish the different categories. The interiors are elegant, comfy and minimal. They work perfectly for city paring such as Paris to London, Vienna to Geneva, Nice to Olbia. They cover the distance of 1,200 nautical miles, about 2200 km. Their strength is the access to very short runways on specific airports. Then, we can find mid-size category, composed by mid-sizes and super mid-size jets such as Citation XLS. The cabin height is bigger, but still not enough to stand straight. It can reach 1.73, 5 feet and 7 inches. Maximum distance covered is 2,100 nautical miles, 3.900 km. It’s perfect for short and medium haul flights, and It connects easily Boston to Belize City, Dubai to New Delhi, Los Angeles to Houston. Crew still includes 2 pilots only, and seats configuration goes from 9 to 12 passenger. Let’s move then to the heavy jet category, composed by heavy jet, ultra- long range and VIP airliner. They can fly all over the world, and the cabin ceiling is high enough for an adult to stand straight. 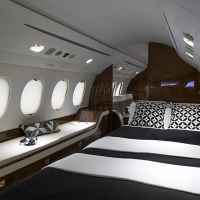 Their seats can be converted onto beds, or they can also offer a proper bedroom with a permanent bed for night flight or long haul. The extra space can become an entertainment room with a divan and a big TV screen, bathrooms with shower, conference rooms, dining table, wardrobes and a proper kitchen. Basically, they are equipped with everything you can imagine. 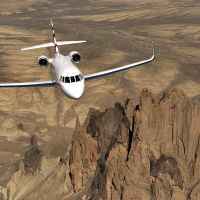 Some example of heavy jet and ultra-long range are Falcon 2000, Falcon 7X, Gulfstream GIV, G450, G550, Global 6000, Global Express and many others. 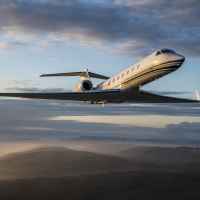 The difference between the heavy, ultra-long-range jet and the VIP airliners is that the first ones are designed from the manufacture as private jets. VIP airliner are Airbus or Boeing Business Jets (BBJ), designed for commercial airlines and converted on a later stage onto VIP. 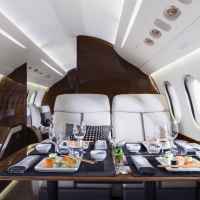 It costs less to buy a second-hand Airbus 319, and then do a complete interior refurbishment, rather than buy a brand-new Gulfstream which is born to be a private jet. For sure, if you are taller than 2 mt and you want to stand straight, VIP airliner jet is the only choice. In most of those aircraft, seats configuration is between 13 and 19 passengers. Never more than 20 though, if you want to save on cabin crew salary. From 20 seats above, a cabin crew on board is mandatory by law, and then you must have one every 50 seats, or one per aircraft door. Below 20 seats, the cabin crew is actually categorized as cabin hostess, a flight attendant which is there for comfort only, and not specifically for safety and security. That said, flight attendants on board of private jet do receive a training anyway, for first aid and other emergencies that can happen on board. Standard crew configuration in this case will be 2 pilots and one cabin hostess with a seat configuration up to 19 seats. Even an Airbus 319 can be refurbished with just 19 seats…. The rest is luxury. Some of them dedicate some space to a sort of business class for bodyguards and the rest of the entourage. City pairing in this case will be at an intercontinental and interoceanic level. For example London to Hong Kong, Dubai to Tokyo, Geneva to Los Angeles, Moscow to Johannesburg. Last but not least we have the turboprop aircraft. Basically, those aircraft with visible propellers such as Beechcraft King Air, Cessna Caravan and Gran Caravan. The beauty of these airplanes is that they can operate on rugged terrain or very short runways with relative ease. 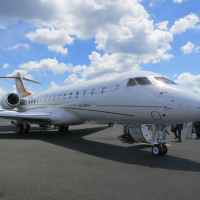 They are very good for short runways and for particular location such as airport in Isola d'Elba, St. Moritz or Gstaad. They are not too expensive to be maintained and very versatile. Some of them can be flown as single pilot so crew configuration is one or 2 pilots and 4 up to 8 seats. The interior is an elegant and comfortable cabin (cabin height 1.47 mt, 4 feet and 6 inches), they can connect cities like Paris to Madrid, Paris to Rome, Athens to Cairo.